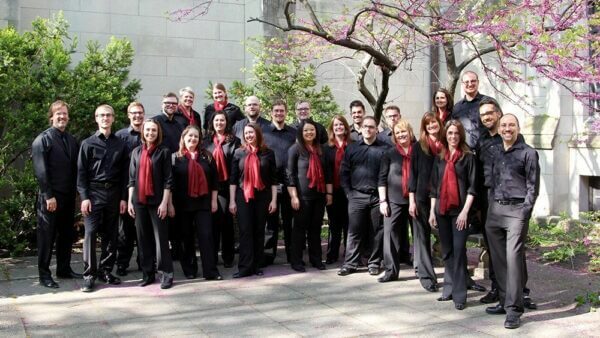 Cor Cantiamo, a professional chamber choir in residence at the NIU School of Music, is excited to announce that the Farny R. Wurlitzer Foundation Fund has awarded a $7,500 grant to our organization. This fund is set up to provide assistance to further music education, music appreciation, and performance and has been awarded to us through the DeKalb County Community Foundation. NIU is grateful to the Wurlitzer Foundation Fund for this grant to support our performance and educational outreach programs. We are proud of the work we do in DeKalb county to enrich the cultural lives of our community. From local concerts to educational outreach programs with area high schools, Cor Cantiamo is bringing world-class musical experiences to our community. “The support we receive in DeKalb county is an essential building block in supporting our mission. The Wurlitzer Foundation Grant will benefit the goals at the heart of our organization,” said Dr. Eric Johnson, founding artistic director of Cor Cantiamo. Cor Cantiamo’s next concert will be presented on Thursday, Nov. 3, at 8 p.m., in the Boutell Memorial Concert Hall. This concert will feature the world premiere performance of The Seven Heavens, composed by British composer James Whitbourn. This multi-movement work is a musical biography of the author C.S. Lewis scored for chamber choir and seven instrumentalists. There will be a pre-concert lecture about the creation of this stunning new work by the composer at 7 p.m.
For more information about Cor Cantiamo’s season activities or how to support them, please visit their website www.corcantiamo.org.